The Enlightenment! Project and my post officially finished at the end of June. However I have been lucky enough to be re-employed at Buxton Museum on their new HLF funded project ‘Collections in the Landscape’. You will hear more about this project shortly, but in the meantime I will keep posting on here about 18th and 19th century Derbyshire and add more of our purchases. We have now got everything photographed, in total over 120 objects! Here is another…. 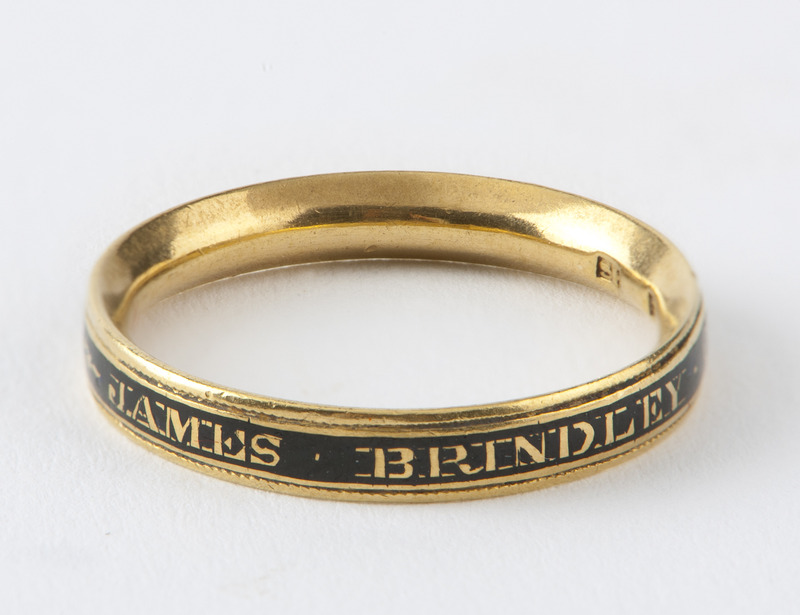 This ring was made in memory of James Brindley (1716 – 1772), the Tunstead born canal pioneer. Earlier in the project we bought a sketch of Brindley, and further information on him can be found here.